Relaxed yet stunning, the Amelia Bridesmaid Dress is the perfect timeless piece for your bridal party, or for everyday evening wear. 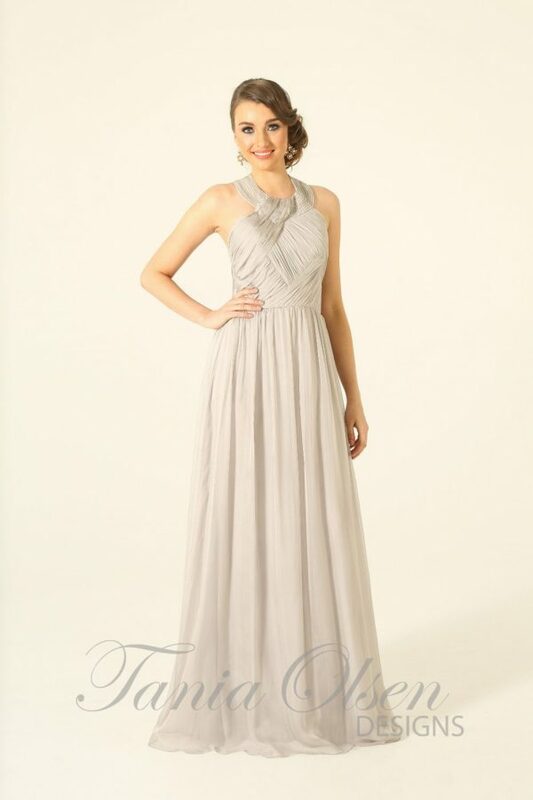 Romantic yet classic, the Amelia Bridesmaid Dress was designed for the carefree, contemporary bridesmaid. Fabricated from the natural fibers of silk, the Amelia style features a sweetheart neckline, and a boned rushed detailed bodice. This strapless style exposes the decolletage, pulls in at the waist, before falling to the floor in a full-length gathered skirt. The soft, lightness of the piece makes it the ideal dress for an outdoor wedding.